Earlier this year I had the amazing opportunity to travel down to Scott Base, Antarctica, with thanks to Antarctic New Zealand Arts Fellowship and the New Zealand Defence Force. I had been commissioned to paint NZDF ship offloading crews and drivers working frantically against the on coming winter weather. The giant container ship was the 'Greenwave II,' full of food and equipment for both McMurdo Base and Scott Base. Along with the US Navy, about 30 New Zealanders braved the freezing conditions for two weeks to offload the giant vessels cargo, using 1950's trucks on a frozen Ice Pier. Only a canvas Nissan hut and potbelly stove to retreat to for an instant coffee and frozen sandwiches on the Pier. During my two weeks of reference gathering and photography I was able to visit some historic explorers huts and some scientists. McMurdo has become a buzzing maze of US science labs, accommodation blocks, supplies warehouses and diesel tanks. 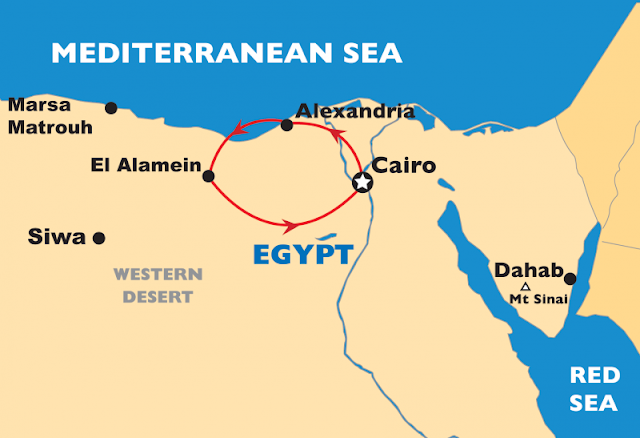 And a hotbed for research in Volcanology, Geology, Polar weather surveying, Marine biology and other earth sciences. While the smaller Scott base, only 10 minutes away looks like a moon base in comparison to the Siberian whaling shanty feeling of McMurdo. Considering McMurdo base used to be a US Nuclear Submarine base 50 years ago, it's put to a far more positive use these days. I stayed at Scott Base with 20 or so hardened Kiwis preparing to 'Winter in' and man the post and maintain equipment over the dark frozen winter. Check out TV One's Close Up clip, following my experiences on the Ice and back at my studio getting the painting ready. 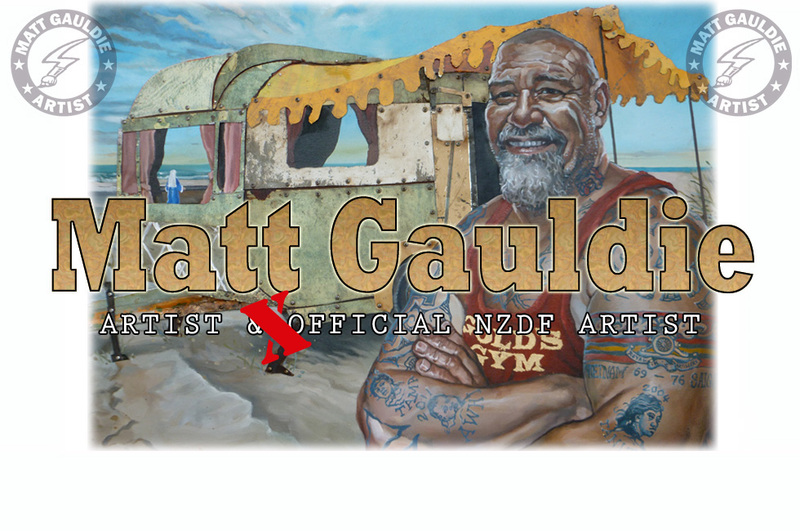 "Hon Captain Matt Gauldie was selected by [then] Chief of Army Major General Mateparae in late 2004 to be the official Army Artist. 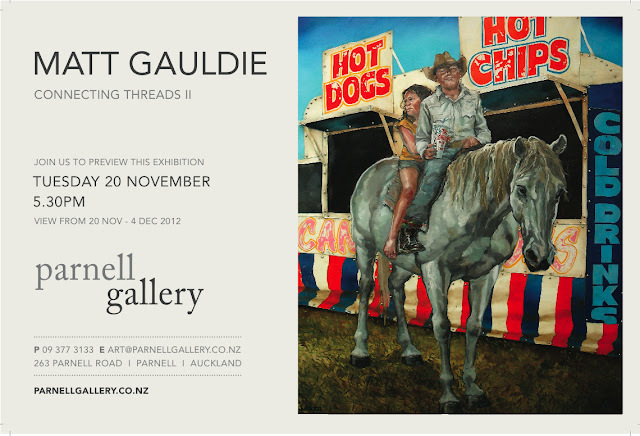 To follow in the footsteps of former NZ Army Artists such as Peter McInyre and Russell Clarke. 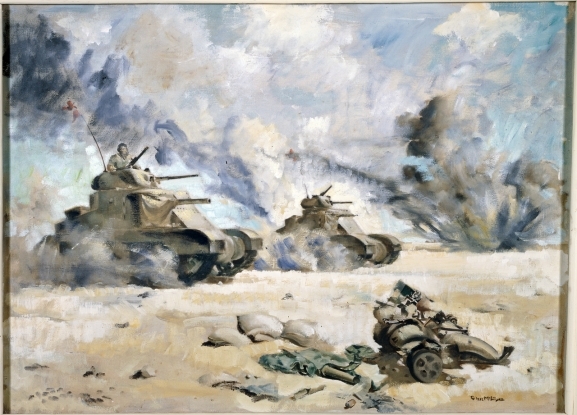 During Matt's seven year career as official Army Artist he has painted soldiering life in Afghanistan, East Timor, and Solomon Islands as well as numerous Army Exercises at Home and Official anniversary and memorial events, such as 'The Return of the Unknown Warrior' series. Matt's ability to capture a rich assortment of expressions in his portraits of everyday soldiers and eye for detail has captured a footstep in time and a unique chapter of NZ Army culture. Matt has now been appointed as an official NZDF artist by Leftenant General Reece Jones, Where he will have the opportunity to do artwork depicting all three services, adding to over 70 official works he has created for NZDF to date. Recently, Matt accompanied the NZ contingent of WW2 veterans, NZDF and VANZ staff to the London opening of the Bomber command Memorial in Green Park as official photographer. This painting 'Last Mission' / Bomber Command memorial' depicts two of the 32 veterans on the trip, Mr Austin and Mr Gutherie. 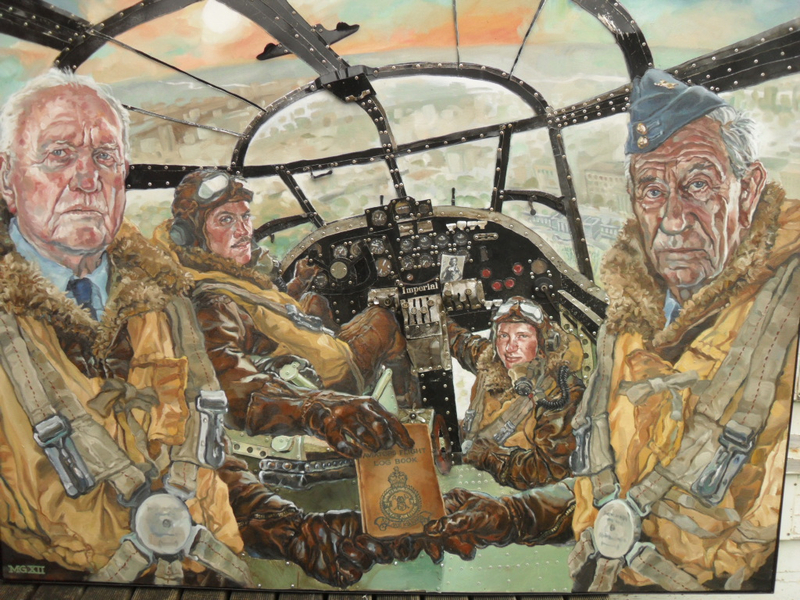 They are seen inside the cockpit of a Lancaster Bomber, with ghost pilot and gunner flying them into the sunset over the London Bomber Command memorial."